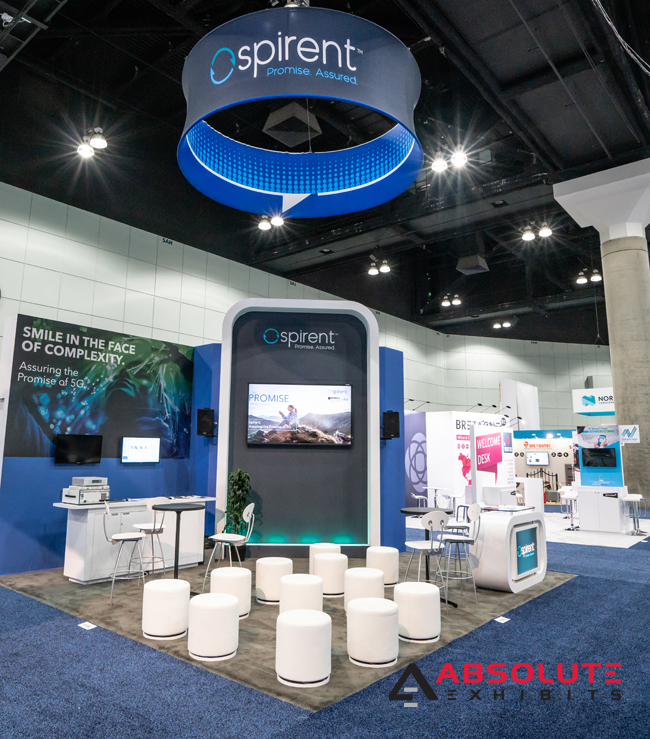 Make Your Island Booth Rental Stand Out on the Trade Show Floor | Absolute Exhibits, Inc.
One of the most imaginative ways you can stand out on the trade show floor is by picking an interesting theme. We have built Chinese tea houses, barns, greenhouses, multicultural travel oases, apothecaries, and vibrant centers of candy goodness. No matter your industry, you can find a theme that will set your island booth rental apart from the competition. When you sit down with your exhibit design house partner, come prepared with a vision. 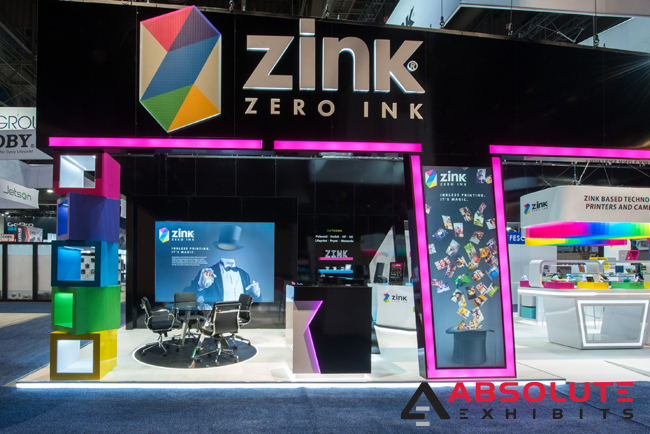 If you don’t have a vision, ask questions of your exhibit house partner that can define a theme to help you stand out on the trade show floor. Not every island booth rental is open on every side. 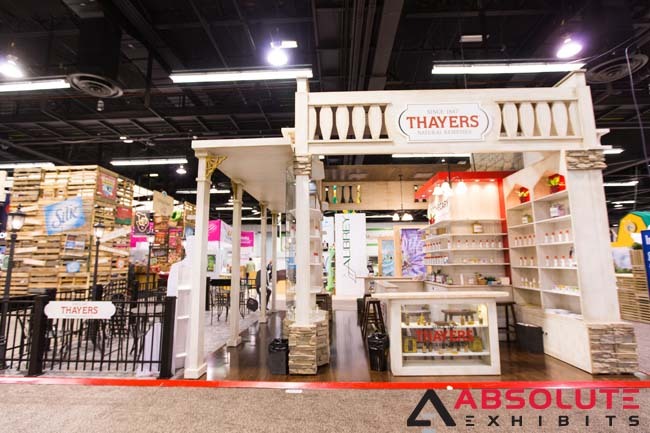 Some brands actively choose to close off their booth so they can entice people to come inside and discover the hidden wonders. If this is your strategy, it’s important to have something that captures people’s curiosity from across the trade show floor. What if you had an automated assistant enticing you to come on in and test out the software on giant touch screens made to look like iPhones? One of our clients did this very thing with their island booth rental and were very successful in attracting crowds of people to their trade show booth. Even if you don’t have a theme, you can be creative with your island booth rental. This could be as easy as creative props, LED walls with special effects, and more. 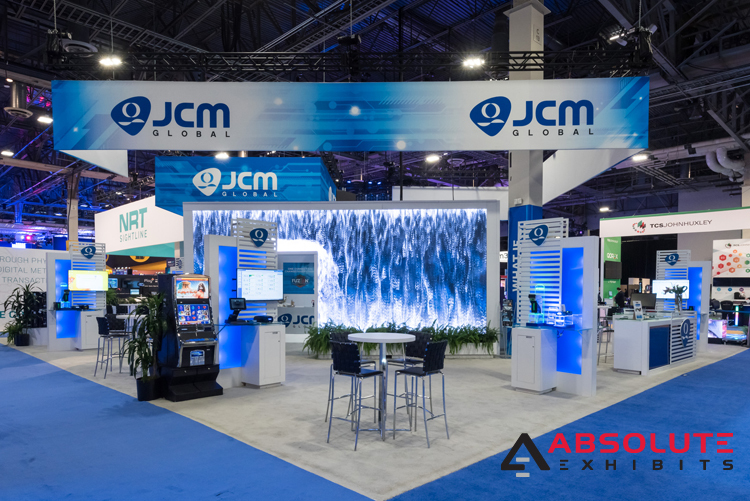 Depending upon your product, goods, or services, you could add creative effects that naturally draw people to your island booth rental and entice them to stay a while to learn more. At shows like HR Tech, this could be technology featuring gamifaction of your software, or at shows like VidCon, this could be props that connect to your audience to try out your software. The point is to get creative to catch people’s attention and drive them in to learn more. Unique signage is a great way to get people to come to your booth. This could be double sided hanging signs, 3D back lit logos, unique items hanging from your signage, or CNC cut mascots or logos that are added to your booth. When you display unique signage, suddenly your island booth rental stands out from the sea of one sided hanging signs and becomes an eye-catcher. When you’ve got an island booth rental, you really want to maximize your exposure on the trade show floor. 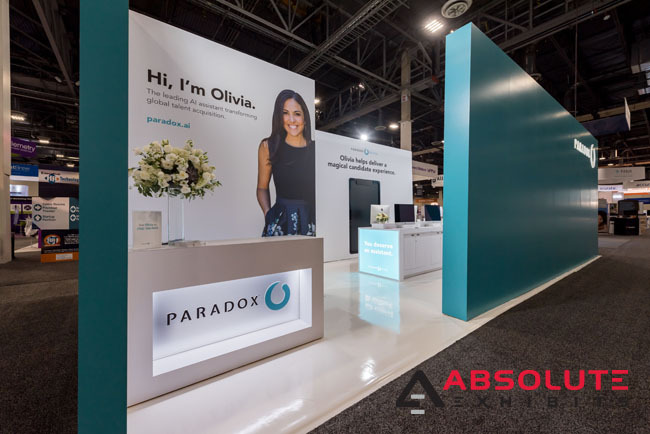 Try these tips when you’re designing your next trade show booth and you too can attract the attention you deserve on the trade show floor.